The Taurus full moon is all set to shake things up for us all. A powerful full moon on the 24th along with current venus retrograde , is asking us to look at our relationships, its about culmination of themes that started 18 months ago and we are asked to let go, heal, transform these aspects as we approach the end of a powerful transformative 2018. Join Meetu for a Full Moon Healing Journey on the 23th, to harness the powers of this full moon, through meditation, energy activation, and deep healing journey to anchor the energetic patterns, release and upgrade our energy centers (chakras) to a higher vibratory levels to manifest your true desires. This powerful 2.5 hours journey is a group healing and activation session, where you go through a deep release process on a cellular level and awaken to the unconscious aspects of you that are ready to be be integrated in your being for experiencing higher levels of Love, Joy, Happiness, Bliss and Inner peace! Join in to discover the magic within for yourself! Limited seats only. Book Now! 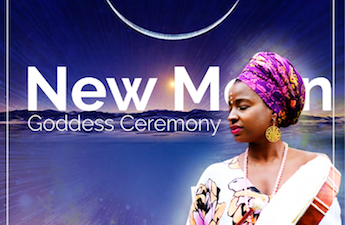 Silfath Sophia is back for a new Moon Ceremony to receive a shower of abundance. In this 2.5-hour journey, we will explore how abundance, receptivity and self-worth are essential for you to receive all the blessings coming your way. Together, we will open your mind, body and soul to the higher frequencies of abundance and worth, clearing childhood beliefs, ancestral patterns and activating a new paradigm of prosperity. This practice is often called “the sleep of the yogis”. It also means relaxtion of personality by going inwards from outer experiences. Yoga Nidra is one of the most powerful methods for deep relaxation & for reawakening brain’s nuclei & centers. Book your spot now! Limited space only! As women we have a collective task to bring healing to our sisters and daughters, saying “no” to that which causes disease and violates what we know as truth, both through our intuition and reason. On October 20th, to commemorate Breast Cancer Awareness month, make a conscious choice to improve your health as a Woman. Women of all ages and fitness levels are welcome. 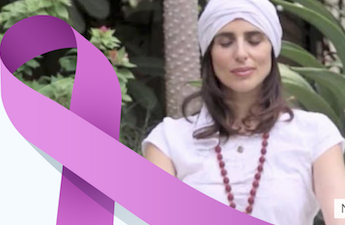 An active Kundalini Yoga Instructor with the Kundalini Research Institute (KRI) and a pioneer of the movement in the Middle East, Nancy Zabaneh is a member of the Kundalini Yoga Wellness and Health Association, supporting and helping to facilitate Beyond Addiction, an internationally-recognized recovery program for addiction. In addition to her current training in the psychotherapeutic modality of Compassionate Inquiry as well as the Healthy Breast Foundations Program, she is working toward an internship with the academy (KRI) and developing mindfulness initiatives for schools and corporates. Nancy is surrounded by countless loved ones who have endured the struggles of breast cancer including her mother Nabila who survived the disease in 2015. This course work is dedicated to her mother as well as to all the healers, nurturers and guardians of our future. Women.